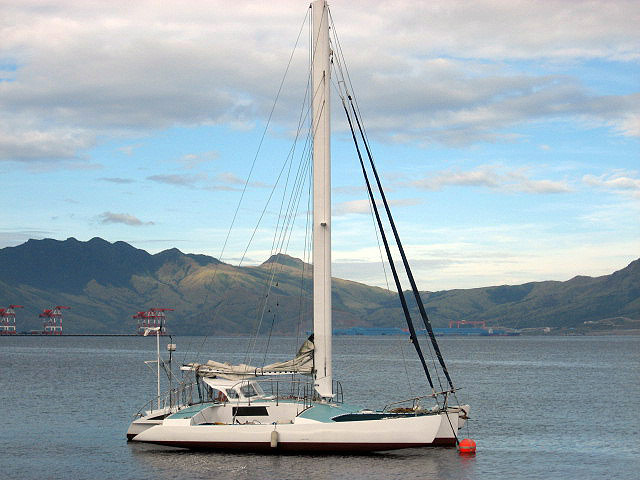 They are building another of the 65′ catamaran ferries. Construction is foam/glass with ply/epoxy internals. Welcome. 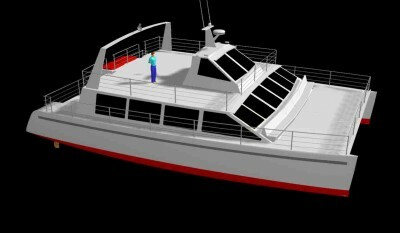 I found this very cool animation of assembling the KHSD developed plywood passenger ferry for Lake Victoria. 37 tri. First contact in 20 years. 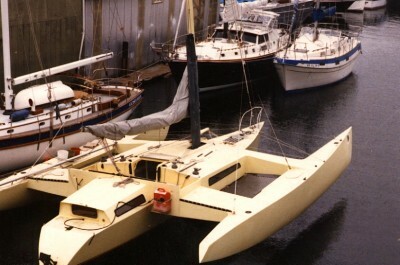 I got a picture of this plywood 37′ trimaran the other day. Database told me the plans went out in 1990 to Bora Bora.